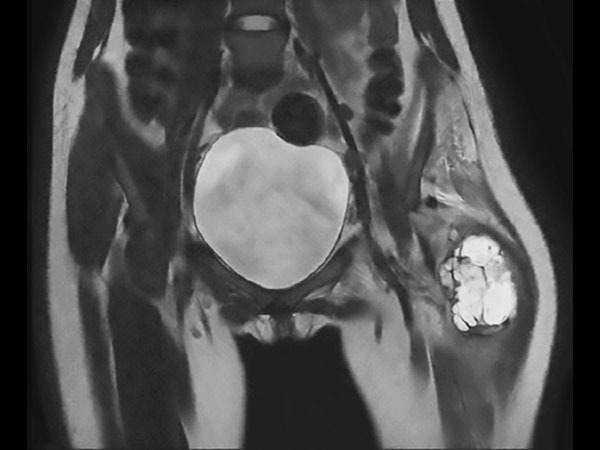 Preoperative MRI in this young girl demonstrates the large tumor with a necrotic component and areas of fluid. 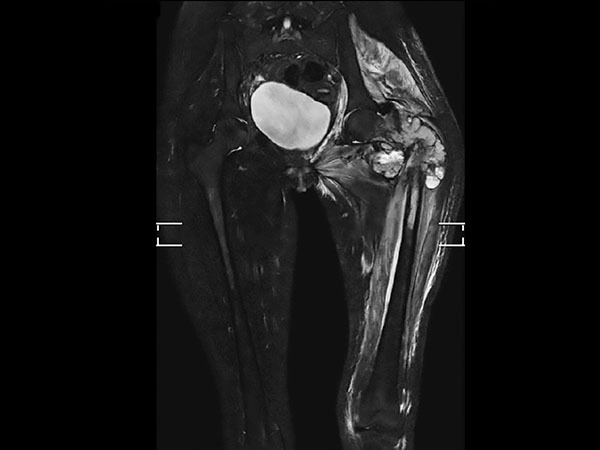 The tumor extends down into proximal part of femur. 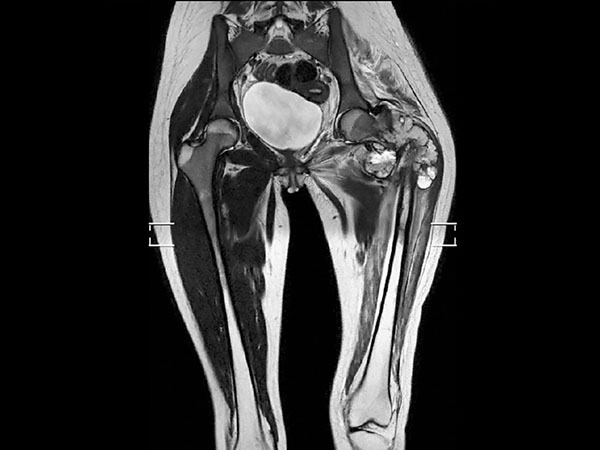 Edema is seen along the femoral shaft down to the knee and in the gluteal muscle. T2W mDIXON TSE in-phase and water images show the superb fat suppression of mDIXON TSE. 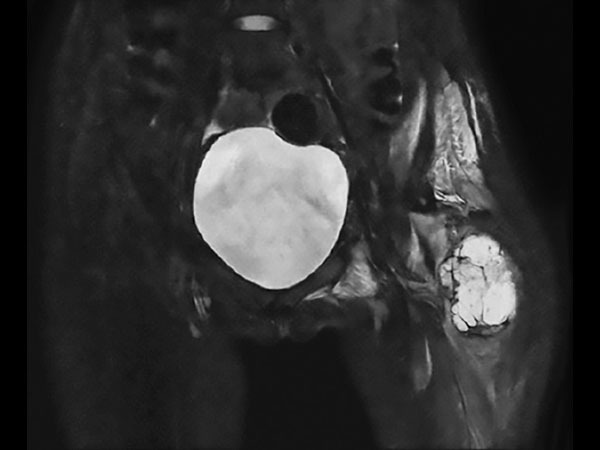 The two-station MobiView also demonstrates the high quality mDIXON TSE fat suppression over large region and both images with and without fast suppression are obtained in about half the time needed for conventional scans.